Set on Magheru Boulevard, in an area traditionally intended for gaming, all-in opened in September 2013, representing a quick and convenient option for any poker player live in the capital. The club has a clear orientation toward beginners or recreational players, providing accessible entrance tournaments and cash games at low stakes, but varied program includes events as consistent with prizes. Even if the work focuses on poker, all-in also provides electronic casino games available slots and roulette. At any time, all-in has opened at least one cash table. The stakes are 1/2 RON usually play No Limit Hold’em, but there are parties or Open Face Pot Limit Omaha Chinese. Also, evening meals are available from 2/5 RON or above. ALL-In practice a fee of 2% of the pot, with no upper limit, but does not charge a rake if the pot is more than 10 big blinds. If game micro-stakes No Limit Hold’em of 1/2 RON fee may be paid per hour, which is the fixed 15 lei / chair. Also, the fee is fixed games Open Face Chinese. All-in offers every day one or two poker tournaments, most affordable entry is usually Addon events Rebuy + 25 + 25 RON. Buy-ins to tournaments reach up to 1,000 RON. Periodically they are organized tournaments with entry higher, around £ 500, which guarantees a prize pool of 50,000 RON. Also, every week there is a freebuy tournament, that tournament with free entry for those who show up at the start of the event, played in rebuy + add-format. Rebuys and add-on fees apply. The cash there is a monthly rake race prizes distributed 15,000 RON in the top nine most prolific participants. In tournaments, there is a ranking in which players scored according to the results contemplated in club events. Prizes consist of vouchers for special events club, and cash. ALL-In also offers a number of jackpots at the cash tables, so if bad-beats and if a player makes a big royal flush (ace high straight with all cards of the same suit). From time to time, the club organizes raffles and promotional offers for players with prizes tickets to live poker events. The club is located near the Ambassador hotel, players coming from outside Bucharest thus had a place nearby to stay. For a decade, Platinum organizes the biggest and most exciting poker cash games in Bucharest, being a constant presence on the gaming scene in Romania. The prestige and professionalism casino poker club, along with services such as secure parking, wardrobe and interior buffet, Platinum converts into an excellent option for any player. Located in the same building, complements casino poker Platinum Club, one of the most popular establishments in the country and in Eastern Europe. Platinum Club Poker cash tables usually offer both No Limit Hold’em and Pot Limit Omaha as well, but on request can organize other forms of gaming, such as Open Face Chinese or mixed games. Even if cash tables starting at 2/2 RON blinds, most often parties Platinum play higher stakes 5/5 RON, 10/10 10/20 RON RON. Platinum has made a name and is proud to organize the biggest cash tables in the country. Rake is differentiated stakes at play. At tables with blinds up to 10/20 RON 2.5 RON tax levied passing 50 RON pots and tables of 10/20 or longer perceive all 2.5 RON per can, but only when value on the table passes 100 RON. Although it is a club focused mostly on cash games, tournaments Platinum offers weekly, monthly or special events where prize pools usually reach thousands or tens of thousands of euros. The most popular event is the High Roller of 20,000 lei monthly guaranteed with input rebuy 350 lei and 150 lei. It also organizes Platinum major tournaments, with hundreds of thousands of euros in prizes, such as IPT PokerFest July 2013, € 200,000 guaranteed event. From time to time, especially Platinum organizes special promotions at the cash tables, including rakeback, rake races, racing profits or jackpots badbeat participants. Located inside the Radisson Blu Hotel, Platinum has accommodation facilities in the same building, always finding players outside Bucharest this possibility as very comfortable. As mentioned above, Platinum is a casino with many offers, including roulette, blackjack, slots and other games. Every week, Platinum concerts, parties and exclusive events where you can meet many local celebrities and more. 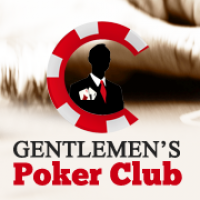 Gentlemen’s Poker Club is a project of four poker aficionados. Simon and Silviu Andrei Nemes are highly experienced professional players in live games from the country and abroad. The management team is completed by Ciprian Vancea lawyer and organizer Wolf “Dragan”, four complete each other to create an extraordinary space every poker player will appreciate. The club is located in the vibrant resort of Timisoara student, always a good flow of participants at the cash tables or in tournaments. The staff is friendly and professional, each employee is prepared thoroughly before officiating games or serve customers. GPC provides parties of No Limit Texas Hold’em and Pot Limit Omaha stakes starting at 1/2 RON and go right up to 10/20 RON, but can go higher, if there is demand for high roller tables . Customers Gentlemen’s Poker Club will find every day at least one tournament start time is usually 18.00. Most tournaments are No Limit Texas Hold’em format, and the most accessible entrance is only 20 RON rebuys + addon. Periodically, Gentlemen’s Poker Club organizes special tournaments with low entry, but with massive guarantees, as Weekend Weekly Major tournament. It has two starting days (Friday and Saturday), place a buy-in of 300 lei, but the prize pool is guaranteed at 35,000 lei or more, making it one of the most competitive and best events in its category. In order to keep customers close, Gentlemen’s Poker Club organizes monthly programs reward the most loyal and best players. The hours spent at the poker tables bring GPP points and these can be used to enter tournaments or can be exchanged for cash. Points are awarded both cash tables and through participation in tournaments. Additionally, the club organizes races and consistent rankings tournaments. The club has a bar with different drinks for every taste, they can enjoy snacks and, by request, there are some fun slot machines that offer the most popular games currently variants. Club I mean a modern bar with affordable, cozy place with a nice atmosphere and a room with five tables brand new, large comfortable for any player to feel at ease. Just ten minutes walk from the historic center, the building is open from 7 am until 6 the next day with a welcoming and helpful staff. The club is sponsored and managed by George Săndulescu, a businessman who fell in love Sibiu poker a few years ago and always wanted to provide a hospitable and potent for all those who share his passion Cibinului bank. The most popular meals are those of No Limit Texas Hold’em. Bets start at 1/2 RON and go easy until 10/20 RON or above. Typically, most “rich” party of cash held Monday, Wednesday and Friday evening. 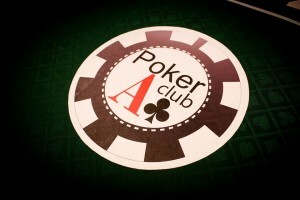 Ace Club organizes several tournaments every week, offering events freezeout, rebuy, knockout, satellites and all sorts of other formats, usually at entrances between 20 and 100 lei. 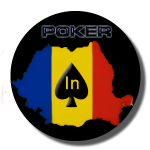 As a partner PokerFest Club Club Bucharest, organizing before starting days and PokerFest satellites in several events such as the December 2013 National 300 tournament with € 150,000 guaranteed € 300 and input. Aside from poker games, I enjoy Club customers access to a bar with a wide range of alcoholic and non-alcoholic drinks, sports the most important football matches in the country and European competitions, and sets rummy or table for enthusiasts or for those who want to relax and take a break from poker. Spoker Brasov boast that Romania is the only location that brings together a club of poker, sports betting, sports pub, slots machine and terrace. Like everywhere, playing in cash games, especially No Limit Hold’em and Pot Limit Omaha, and the stakes are 1/2 usual ron, ron 2/5, 5/5 or above ron, when major tournaments the schedule and coming players from other cities. Although it is a relatively small club, Spoker constant organiează special tournaments with massive prize pools. Periodic “The Big 55o” “The Hot 100” or “SuperFifty” offers guaranteed prize pools of up to 25,000 lei, even if the buy-in goes not 550 lei. Otherwise, in addition to major events, Spoker has one tournament each evening in various popular formats such as re-entry, second chance turbo rebuy + add-freezeout. 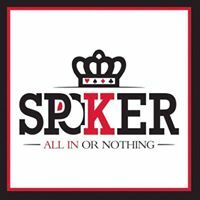 Spoker takes care of its loyal customers and offer various loyalty bonuses them both at the cash tables and in tournaments. In addition to live poker, customers have available Spoker and other facilities for relaxation and entertainment, including bar varied sports betting and slot machines. Opened in 2013, Rounders Poker Lounge has quickly become the favorite place for many pokerist game in Cluj-Napoca. Cash quickly caught parties in club life and weekly tournaments are attracting more and more participants, prize pools are generating more consistent. 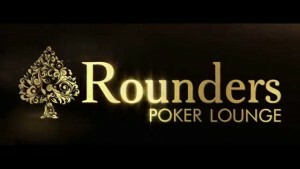 Rounders tournament offers 12 tables and 3 tables for cash, but besides poker, customers longer enjoys a modern bar, free Internet access and can dine a la carte restaurant located on the same floor of the Central Store. The atmosphere is pleasant, with a friendly and professional staff with well-trained dealers. The room is welcoming and relaxing offering including TVs they can watch sports events in the world. The club also has a separate VIP area provides extra comfort, where the parties dispute 5/10 RON cash or above. Persons participating in the VIP games are free consumption on many of the products offered at the bar. As everywhere, and Rounders most practiced form of poker is No Limit Texas Hold’em, but are also willing Open Face Pot Limit Omaha or Chinese. The stakes are 1/2 RON affordable and usually up to 10/20 RON tables. Every day, the club organizes one or two tournaments available in popular formats in the world, such as Second-Chance, Rebuy, Freezeout and so on. A delight Rounders is the Freeroll tournaments held two to three times a week. Located in the heart of Transylvania, Rounders players can merge many large cities of the country. And the club managers were quick to understand this, recently signed a partnership with King’s Casino Rozvadov, one of the largest venues of its kind in Europe. This collaboration allows them to organize satellites Cluj officials Rozvadov major events, such as Deutsche Poker Tour stages. The fee charged to cash in Rounders is within 3% of the pot, and medium and high stakes get even 1% of the pot is limited even if the big blind euro parties. In cash games, Rounders offers loyalty programs as bad-beat jackpots or royal flush, while the tournaments are conducted monthly and annual rankings depending on outcomes of participants in events, prize giving different shapes and values . Rounders is inside a bar with drinks for every taste, sandwich can be served indoors or sites can take a real meal in the adjacent restaurant. 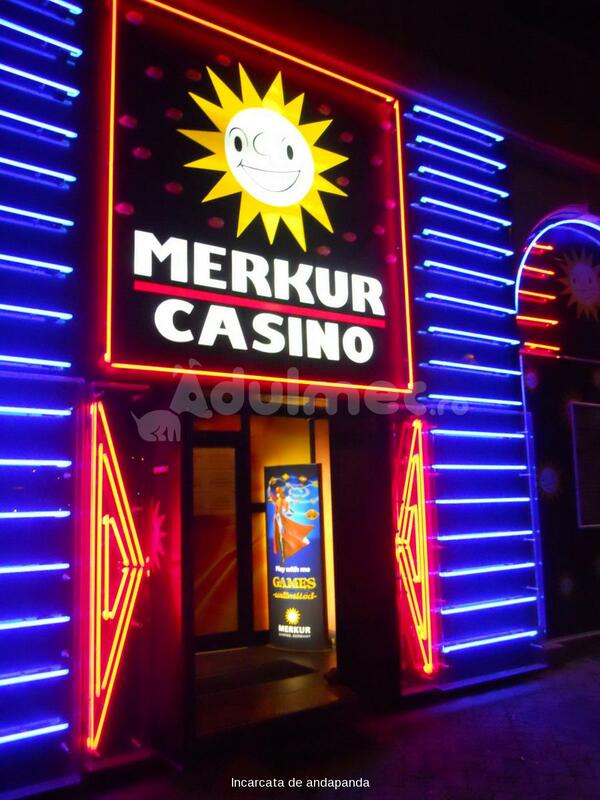 The most attractive poker club in Transylvania opened in mid 2014. After a few months of activity, Royal Poker Club won the sympathy of many poker players in Cluj and beyond. Offer quality, excellent service and proximity to pokerist Annex poker is the key. All this is possible thanks to a management with years of experience in gaming, consisting of Dan Semenescu and Joseph Botar. Royal Poker Club offers a permanent table for No Limit Texas Hold’em open the blinds of 1/2 RON, but most often in the evening light games and stakes are multiple choice, but also other forms of poker as well as Pot Limit Omaha or Open Face Chinese. Royal Poker offers one daily tournament with guaranteed prize pool. Entry into daily tournaments is very accessible or even free. As an idea, most often buy-in is up to 50 lei, offering them practical opportunities including those who enjoy poker and would not risk large sums in exclusive tournaments. Royal Poker Club quickly made several strategic partnerships with other domestic and foreign operators. During the first six months of opening, the club already hosted two stages PokerFest Romania and starting days in the great events of Austrians from Concord and Montesino. Royal Club offers day tours start in the popular WPT Warm-Up in Europe starting days in an event like Concord and Concord Million Masters, but organizes monthly tournament guarantees six figures with other Romanian operators in Oradea, Sibiu, Timişoara and beyond. The Royal Poker Club, the rake is within 3% of the pot, and medium and large decreases stakes even 1% of the pot. Bronze: 15 or more tournaments played. Win a voucher of 250 lei. Silver: 50 hours played in cash. Win a voucher of 250 lei. Gold: 15 tournaments played and 50 hours in cash. Win a voucher of 500 lei. Platinum: 120 hours of cash. Win a voucher of 750 lei. Royal: 15 tournaments and 120 hours of cash. Win a voucher of 1.000 lei. 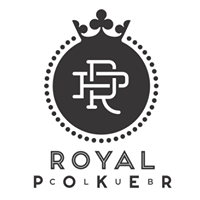 Besides the wide range of quality tournaments and cash games lucrative Royal Poker Club offers an excellent restaurant in the same building, a bar with usual drinks and selected dishes and room and slot machines. Also very important is the free WiFi connection quality. But certainly that poker players from Cluj are in love with another feature: the VIP lounge and play in that tournament final tables, end tables with all cards sent over the internet to view.